Smokin is a blended Scotch whisky produced by independent bottlers Duncan & Taylor. 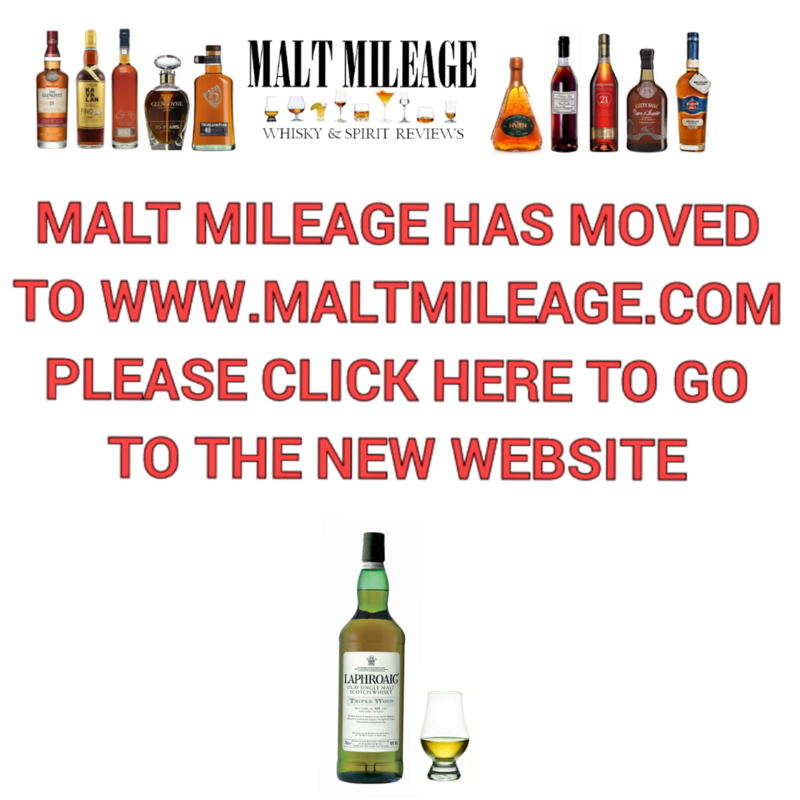 Duncan & Taylor are known for bottling very old Scotch whisky at extremely reasonable prices and some of the most noteworthy among them are the Glenrothes 1969 Vintage 40 Year Old (Octave) and the Black Bull 40 Year Old. 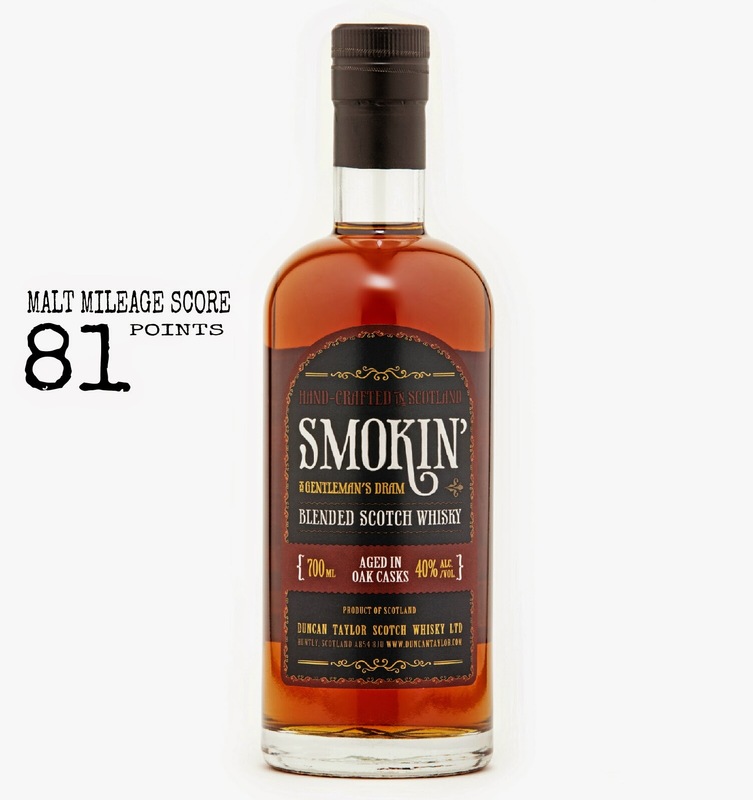 Smokin is a no age statement whisky, and this seems to detract somewhat from what has made Duncan & Taylor so appealing in the past – aged whisky at great prices. Nonetheless, with the spike in global demand for whisky, dwindling supplies of older whisky and more knowledge about how to mature whisky faster the move to no age statements seems inevitable for many producers. This is not necessarily a bad thing. It is just that it removes the only objective measure consumers have about the nature of a whisky – how long it has been in a cask. Smokin’ – The Gentleman’s Dram contains smoky whiskies from distilleries throughout Scotland, no-longer bound by regional definitions. The Master Blender has perfectly balanced the robust peat smoke flavours now being produced by mainland Scottish Distillers and complimented them with the smooth notes of toffee and vanilla produced by pairing grain whisky and fresh bourbon casks. Overall, Smokin’ is an enjoyable smoky blend with the typical sweetness of peaty blends but with an interesting twist of pepper and sweet n’ spicy condiments such as barbecue sauce, buffalo sauce and Worcestershire sauce - saucy indeed! At around £29 it is reasonably spiced for a whisky of a nice peaty persuasion but it seems unlikely that my hands will ever reach for it over Black Grouse (£20), Johnnie Walker Black Label (£27) or Johnnie Walker Double Black (£33), some other peaty blends on the market. Nose: The aroma of peat is rich and strong, interlaced with caramel and vanilla with hints of pepper. A tad shy, the character of the whisky remains beneath the fog of peat at first and takes its time to open up. There are typical aspects of peat smoke then noticeable, such as caramelised sugars and the whiff of cooked hot peppers marinated in barbecue sauce, buffalo sauce and Worcestershire sauce with smoky bacon – sauce sauce sauce! Taste: The sweetness from the grain is much more noticeable on the palate. Hints of pepper and dashes of salt occasionally filter through chocolate caramel, vanilla syrup and the sweet element of barbecue sauce/ketchup as the peat, now sweeter, remains a constant. Finish: Sweetness lingers with dying embers of peat that crackle with a resurgence of those peppers on the nose, and sugars from a recently consumed sachet of ketchup and barbecue sauce. This is a very saucy blend!